It's been a year since I got to know adsense, and from the time I got to know it I could say that it quiet working well on my blog. For those new blogger out there one way to monetize your blog is thru google adsense, its easy to use, no maintenance is needed and the best part is its Free. All you have to do is place the adsense code on your blog then an ad will start appearing on your blog and when someone click on the ads you will get paid by google. There are two types of adsense code that you can generate and implement to monetized your blog, the adsense for content and the adsense for search, lets have a look first on the adsense for content. Step 1. First create your adsense account, the only requirements is that you must have an email and a blog or web site. Step 2. Once you created your adsense account, you can then start to generate your adsense code. Log in to your adsense account and select the adsense set up tab. Step 3. Select adsense for content product. Step 4. 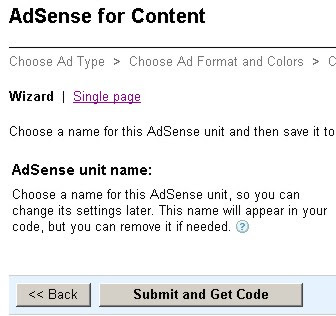 On the adsense for content window select ad unit. You can set your ad content when appearing on your blog to: Text and image add which means that either text add or image add will appear on your blog, Text ads only which means that only text ads will appear on your blog and the image only which means that only image add will start to appear on your blog. It would be better to set it on Text and image ad and select continue. Step 5. An ad code format window will appear, on the ad format chose the size that you want to use on your blog, the 336 x 280 large rectangle is one of the effective size that can be use for your blog it can generate a high click through rate. On the ad color choose the a color that best suite your blog, the key point is the ad must blend on the color of your blog. On my case I use the default google palettes then I customized the background color and the border color to the color of the background where my add will appear. Select continue once you set up your ad. Step 6. 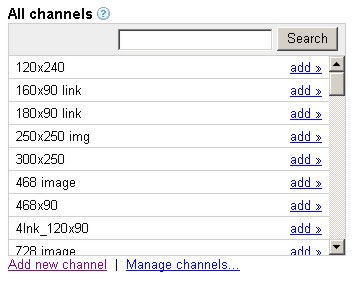 Ad channel window will appear, select the add new channel link and input your ad channel name and select continue. The purpose of this channel name is for monitoring which of your ad is performing well. Step 8. Open your blog, if your are using the blogger.com platform, log in to your account and select the lay out tab where you want to use your adsense code. Step 9. Once the layout is open, select add gadget to where you want your ad to appear. Only three adsense for content and three link ad are allowed to be displayed on your bog so place your add on a location where it can generate clicks.